Hi, my name is Athena Yi Ping Lu and this is the home of Maezhi Miniature Poodles (pronounced Mae-Zhi), CKC registered. We are located in New Westminster, British Columbia, Canada. 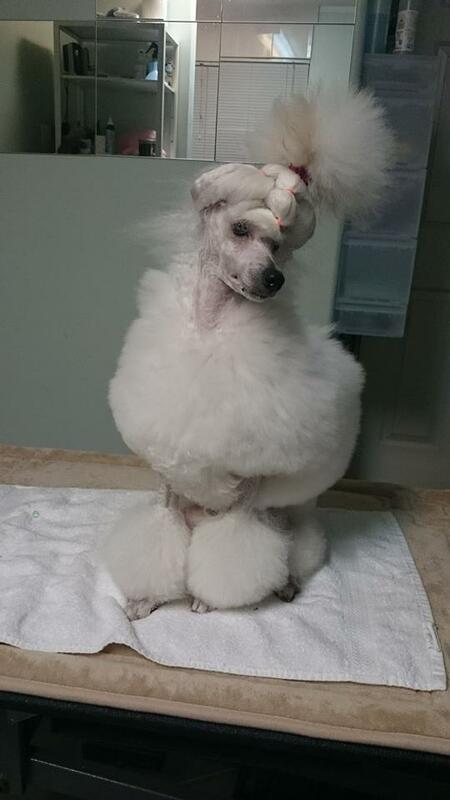 My love for the poodles started when I became a groomer. I had the wonderful opportunity to learn under several different Masters, including three months at a grooming school in Taiwan. 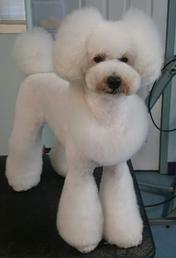 It was in Taiwan where I fell in love with the poodles as I lived with a house full of them. I finally decided to dive in to the Miniature world as they are not too big and not too small. I have always had a dog as far back as babyhood. Breeding was always something I've wanted to do. It was simply a matter of finding the right breed. Although German Shepherds remain my first love, the Miniature Poodles are almost on par. I always say, the only difference between my shepherds and my poodles are the size and coat. All of my breeding girls are OFA'ed hips and patellas, genetically screened for PRA-Prcd, and receive annual CERF on their eyes to ensure the most healthy puppies I can possibly breed. 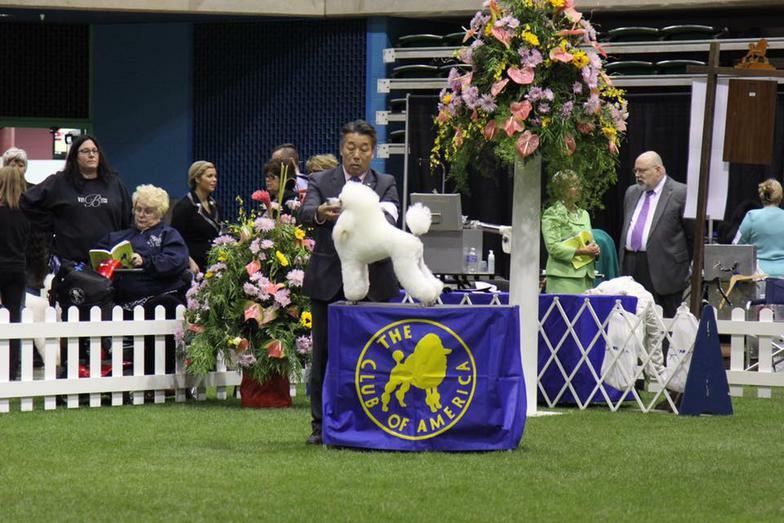 They are also Champions in the show ring as poodles must have beauty, brain AND health. They are quick as a whip and very trainable. My girls live in the house with me as house pets. They love car rides and cuddle time on the couch and bed. They are on raw diet. My puppies are hand raised by me. They are well socialized with other dogs and lots of people as they spend time in my grooming shop with me as soon as they are old enough. They are well adjusted and used to different noises and situations.